7 Facades for Small Houses! Facades can truly enhance your home, better than any other piece of exterior architecture. There are so many different varieties, materials, colours and styles for facades, leaving you with so many incredible options. You can change the whole look and feel of your home, just with a simple decision—which facade? Because the exterior of your home is the first impression that people will get of it, you want it to look fabulous. This is why it's also so important to pay attention to your facade. You also need to maintain it! Keep a look out for cracking or peeling and be sure to fix the small problems straight away, so that they don't turn into big problems. Today at homify, we are going to look at seven beautiful facades, which will inspire you to change the look and feel of your home! This bold and elegant facade, designed by STRUKTURA Lukasz Lewandowski, is the perfect example of a modern facade. This strong design packs a punch, where the designers have used a softer, lighter grey with a darker grey to really enhance the exterior of the home. These colours also work beautifully with the plants and lawn around the home, which have been manicured and pruned to perfection. 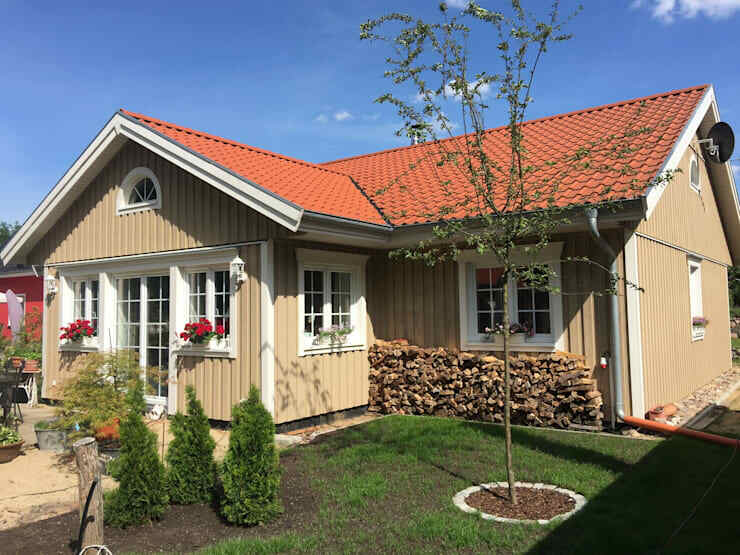 A lighter facade softens the exterior of the home, creating a very attractive, warm and welcoming environment. In this design, hardwood timber has been used right across the top level of the home, contrasting beautifully with the white walls on the lower level—very funky and different. Tip: If you want to go for a lighter facade, stay away from concrete or metal. Opt for a gorgeous wood! 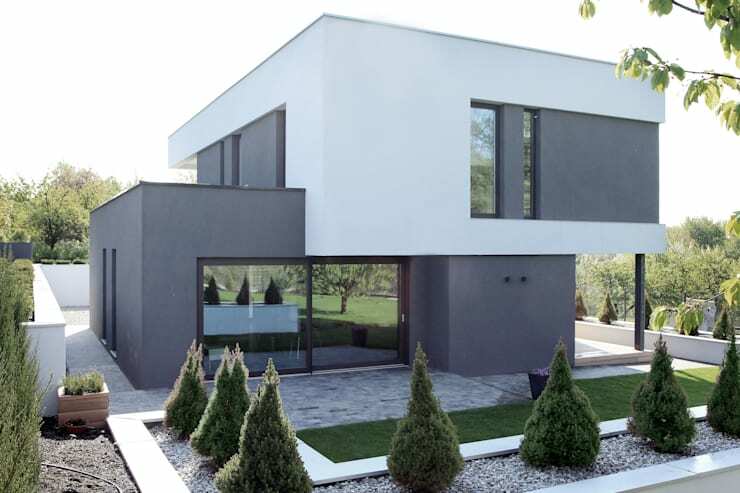 Minimalist facades are absolutely stunning and a firm favourite here at homify. Don't you think this design by TAQ Architects speaks for itself? 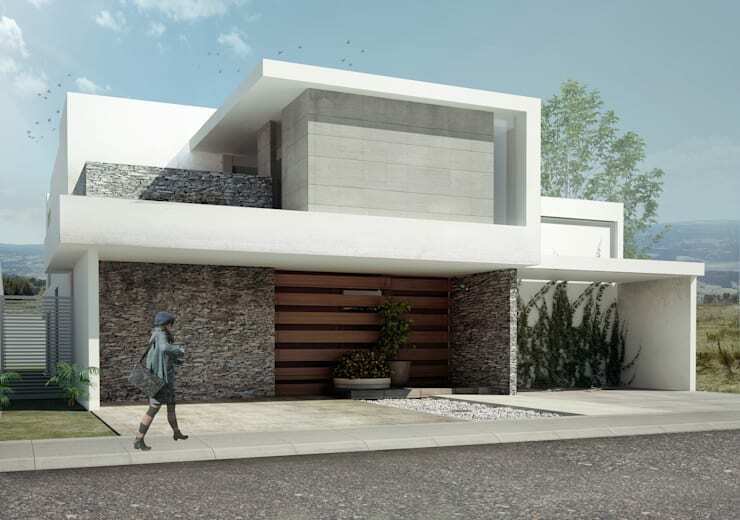 This minimalist facade utilises several materials including stone and award, creating an exterior that works together in harmony. The great thing about this facade is that it can be used for just about every home. 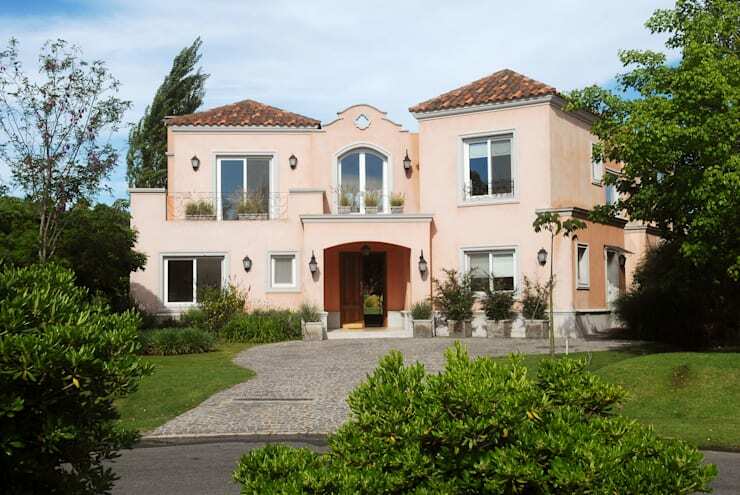 If you like this type of home, then you'll love this: House that hits all the right notes. If you're looking for a slightly heavier look, then you can always go for a more grand, sturdy and detailed facade. There are several fantastic materials that you can use to achieve this look including steel, plaster and stucco. Can you see how this design includes marble borders? What a great way to enhance the exterior! 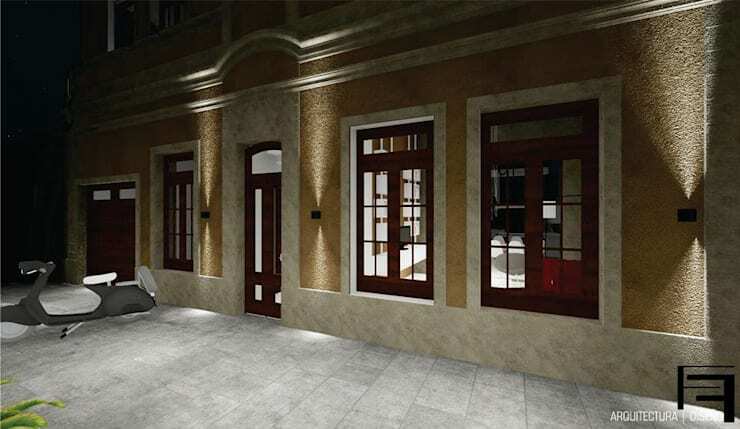 Remember: A more detailed facade will look gorgeous, but will cost a bit more money and may require more maintenance. 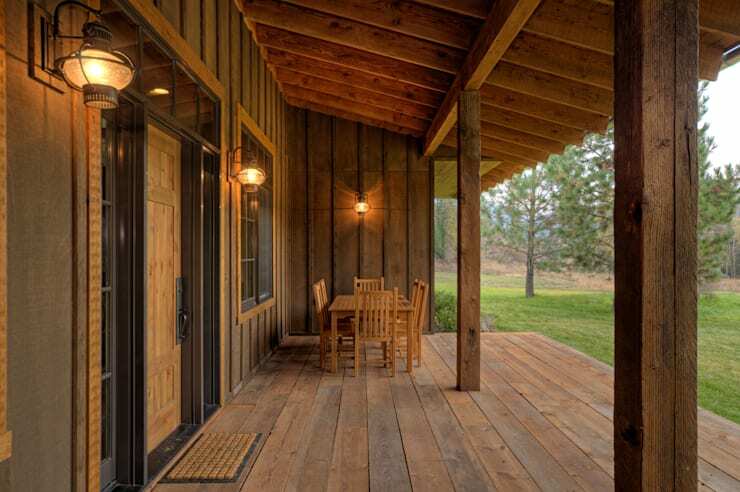 Some of the most welcoming and warm homes feature a rustic facade. Rustic is becoming more and more popular in modern architectural themes, because of the warm and earthy hues it creates as well as how chic it looks. Wood and stone are great materials to create a rustic look and feel. Ensure that your rustic facade really works in harmony with the nature that surrounds it. Integrate the trees, plants and flowers into the whole design. Prefabricated homes are becoming increasingly popular thanks to their high quality, low budget and quick construction. Prefabricated facades, like in this design by miacasa, can truly enhance your home both aesthetically and functionally. If you're considering building a home, this is a design to consider. They look really beautiful, are more sustainable than most bricks and mortar homes and are easy to move around. 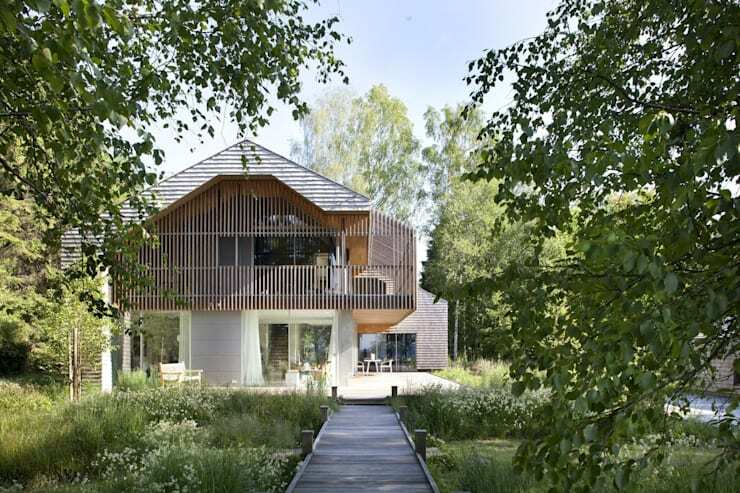 Have a look at this ideabook on modern family living in a prefab home. Remember that you can pick certain themes for your facade so choose a style that really works for you such as colonial, Balinese or Tuscan. In this image you can see how a colonial style facade really enhances the entire exterior, giving it a unique flavour that distinguishes it from other homes. The designers have combined this with a very neat and landscaped garden, which further enhances the look. Have a look through the homify garden products for ideas on how to landscape your garden. What style of facade suits you?